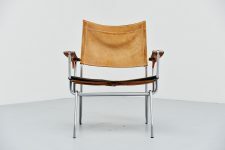 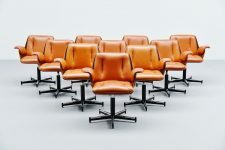 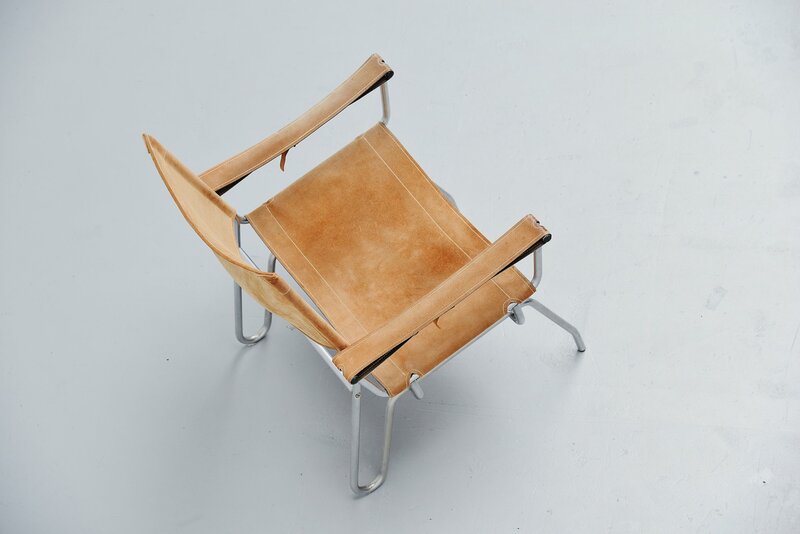 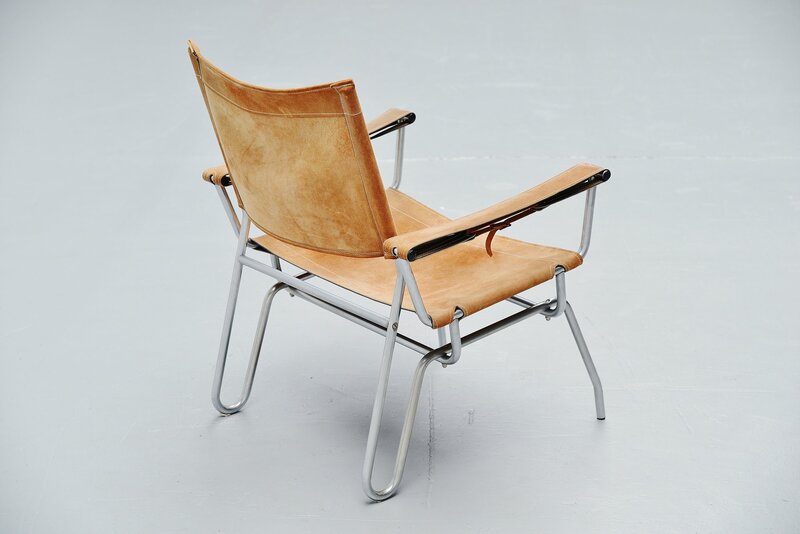 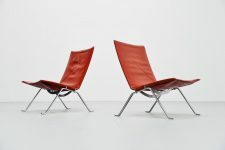 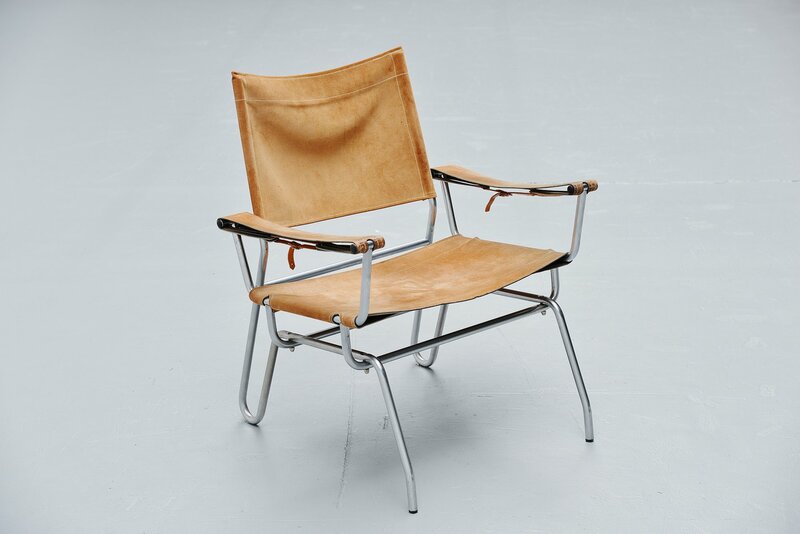 Unusual Dutch modernist easy chair designed by A. Dolleman and manufactured by Metz & Co, Holland 1960. 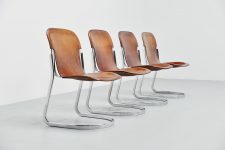 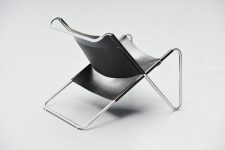 The chair has a tubular metal frame in brushed steel. 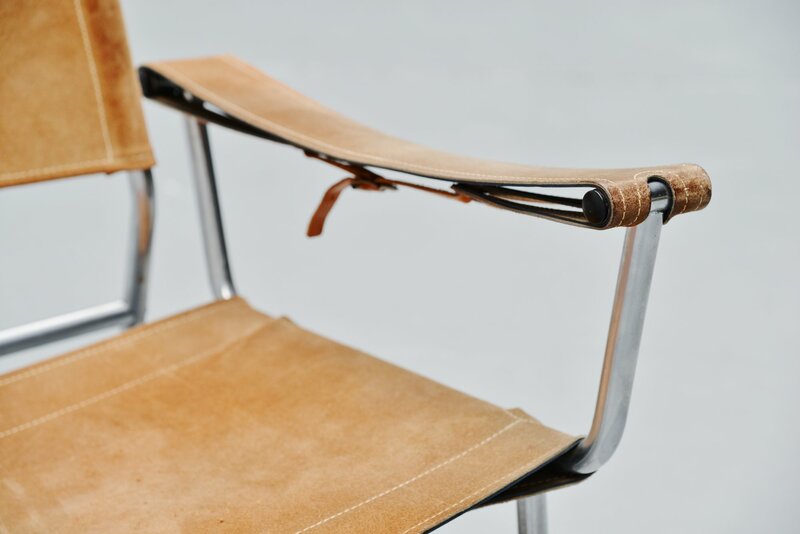 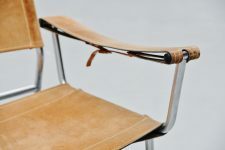 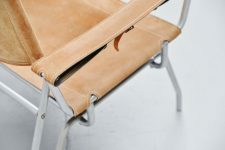 The seat and arms are made of nice natural colored suede. 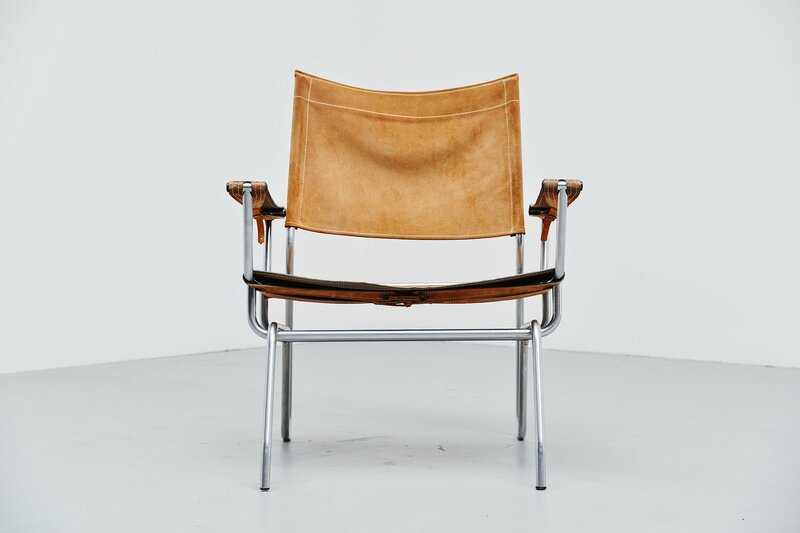 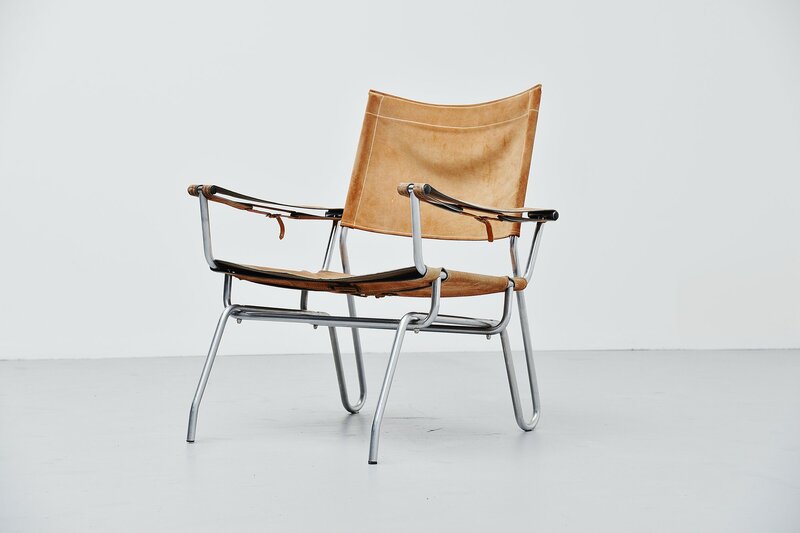 The chair is in impeccable original condition and the suede has a nice patina from age but is still firm and clean. 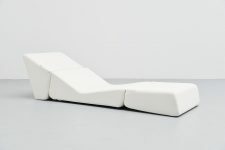 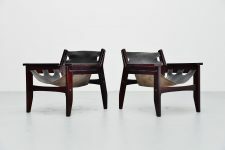 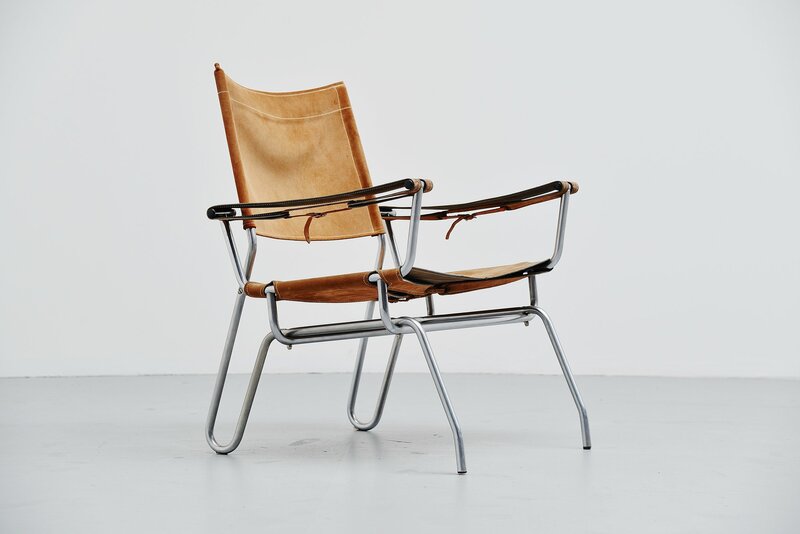 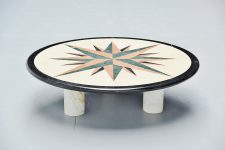 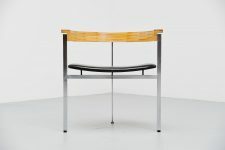 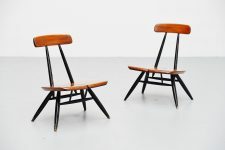 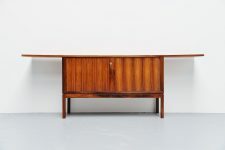 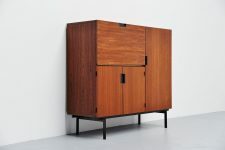 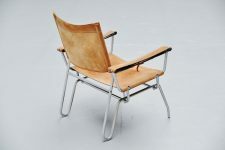 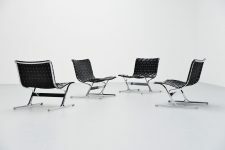 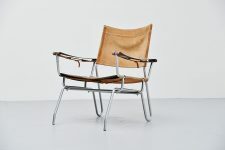 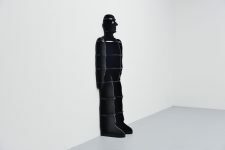 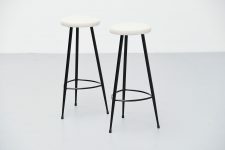 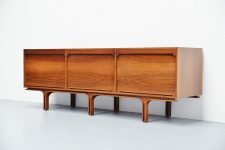 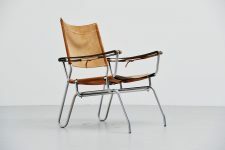 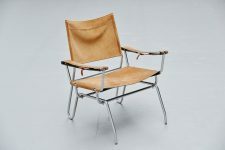 An excellent piece of Dutch modernist design, hard to find piece.